Fans of Rue Morgue magazine and its now-deceased offshoot aural entity Rue Morgue Radio are aware of knob-tweaking host, DJ and media gremlin Tomb Dragomir’s work. 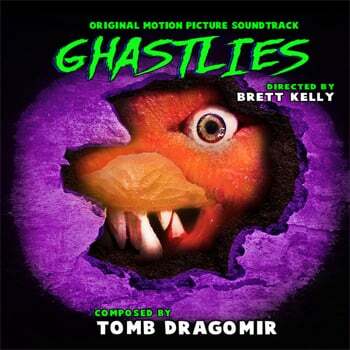 Now, Dragomir has added composer to his resume having written and produced the score for indie exploitation director Brett (My Fair Zombie) Kelly’s new mini-monster horror flick, Ghastlies. You can buy the entire Ghastlies soundtrack album and, until December 25th, get the lead theme single “They’re Ghastlies” for free. Ghastlies is a nod to1980’s horror creature comedies like Critters, Gremlins and Ghoulies and focuses on four sorority sisters who accidentally unleash a trio of ghastly ghouls from an underground bunker during a weekend getaway in the country. The film is set to be released by Camp Motion Pictures in early 2017. To buy the score and download the first track for free go here. And preview that retro-earworm theme below!